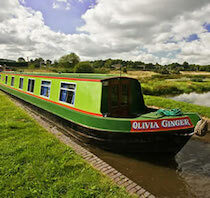 The Ginger6a class canal boats. Radio/CD player, colour TV/DVD player. Settee with 2 additional armchairs. Hairdryer. 1 bathroom with shower, toilet, hand wash basin and additional toilet. Electric Razor point.